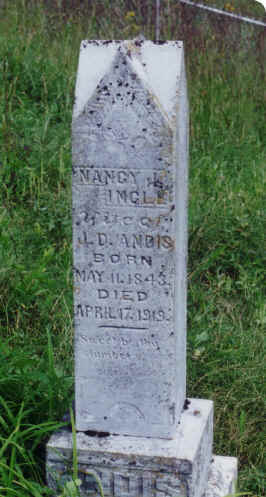 1) Wife of Johnathan David Andis: Nancy Jane Ingle - born 11 May 1843 Washington Co, VA; died 17 Apr 1919 Washington Co, VA; death certificate and burial permit; cause of death: measles, old age; buried Andis Cemetery, Washington Co, VA (see photo below); daughter of Rev Willis Ingle (15 Jan 1806 Albemarle, VA - 30 Oct 1867; buried Ingle Cemetery, Washington Co, VA; tombstone photo) and Elizabeth Gregory (1799 - 13 Feb 1895). We have a "blood receipt" that belonged to Nancy. 2) We have Johnathan's Civil War military records. 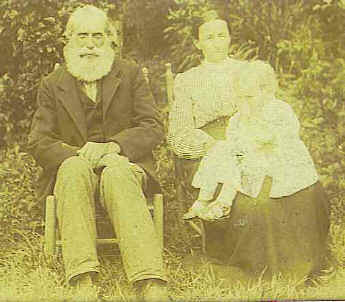 He was in Co B, 21st VA Calvary, 105th VA Militia, and deserted 20 Sept 1863. 3) We have various original receipts and miscellany belonging to Johnathan and Nancy. These items were found in their possessions at the time of their death, and now belong to Nancy (Andis) Aker. 4) We have photos of Johnathan and Nancy's Bible - along with the "Births, Deaths and Marriages" pages. Births: all of his children's birth dates are listed; deaths: various family members; marriages: a few family members. 5) We have copies of the appraisal of personal property (20 Oct 1910), sale bills of personal property (29 Oct 1910 and 06 Dec 1910) and estate accounting for Johnathan David Andis (11 Oct 1910 - 08 Jul 1912). 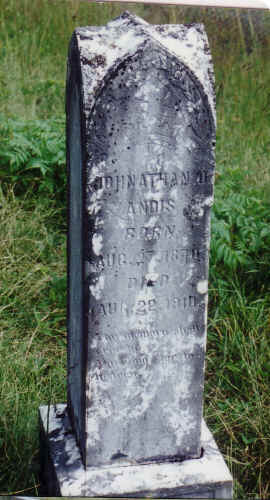 6) Johnathan's cause of death: "old age". 7) We have a copy of Nancy's will.